For a period of more than fifty years, Bill Cosby was in the forefront of the entertainment industry in America and throughout the world. His genius in the field of comedy is undeniable. He was also involved in numerous charities throughout his lifetime. #1. At the age of 26, he released his first comedy album, the first of many popular albums. #2. He starred on the show “I Spy,” for which he wins three Emmy awards in a row from 1966 to 1968. #3. In 1969, “The Bill Cosby Special” won an Emmy for best for Outstanding Variety or Musical Program. #4. 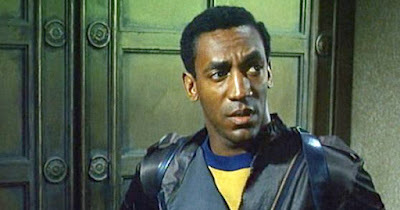 Cosby served as the Jell-O spokesperson for 25 years, often being featured in memorable commercials. #5. “The Bill Cosby Show” ran on NBC for three years: 1969-1971. #6. The innovative cartoon “Fat Albert and the Cosby Kids,” in which Cosby is the voice for all the children, ran from 1972-1984. #7. Cosby played Dr. Heathcliff Huxtable on “The Cosby Show,” from 1972-1984; the show reached Number 1 in the ratings. #8. He was inducted into the Academy of Television Arts and Sciences Hall of Fame in 1992. #9. He received the Kennedy Center Honors in 1998. #10. In 2002, Cosby was awarded the Presidential Medal of Freedom.